TV series that end up spawning movies more often than not don’t end up being a good thing, as they tend to only be for the fans of the show, and not really made to cross over to mainstream audiences. But when you ‘are’ one of those fans of a show, then you don’t care if the film is made for a wider audience, as you just hope they can deliver more of the goods that made you love the show in the first place. With myself being a big fan of the show Entourage, meant I was always going to see this film version, but with my girlfriend also now a big fan, meant I had even more reason to get us along to see it. Now, a TV show is a TV show, and a film is a film, but when they cross over it’s hard to expect the TV show to suddenly become exactly like a film. 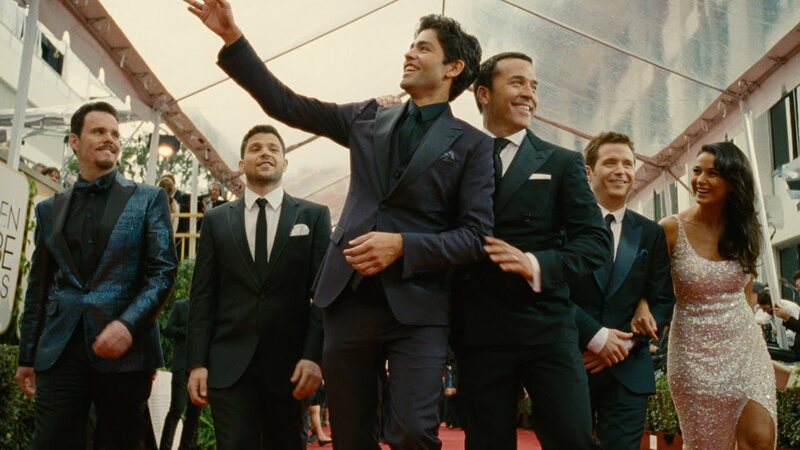 The production values might be higher, and the camera work might be more filmic, but the essence of the TV show still needs to be there, and that often means the film version still just looks and feels like a few episodes of the TV show played back to back, and the same is true for Entourage. It was a bit more flashy and epic, but really this was just an extended episode, which isn’t a bad thing at the end of the day. There were things I didn’t like, such as a few story points that seemed unnecessary and even took away from the films main themes, and the copious amounts of famous people cameos also added enough running time to the film that I felt like those extra 5 minutes could have been better used for the main story. At its heart though, it stayed true to what the show is, and because of that the things I loved about it out shined the negative, and though I can see they may have left the door open for a sequel, deep down I’m happy how they wrapped it up and how they left this merry band of brothers on their Hollywood adventure.